At 17 years young Lila has now gone to Rainbow Bridge December 2017. She has had an amazing life of love and friendship. "Lila was very much my baby and soul mate and thank you so much for entrusting us with this very special person. She is beyond words and a credit to you as her breeder. It goes without saying that GR CH Rossikan Alpha Male born in 2005 is an exceptionally influential boy in our lines. We have to thank John & Janet Wilshaw for the opportunity of owning and showing such a fabulous, loving and laid back boy. He won many BOV, BIS & took home the Best of Variety kitten award at his first Supreme show in 2005. 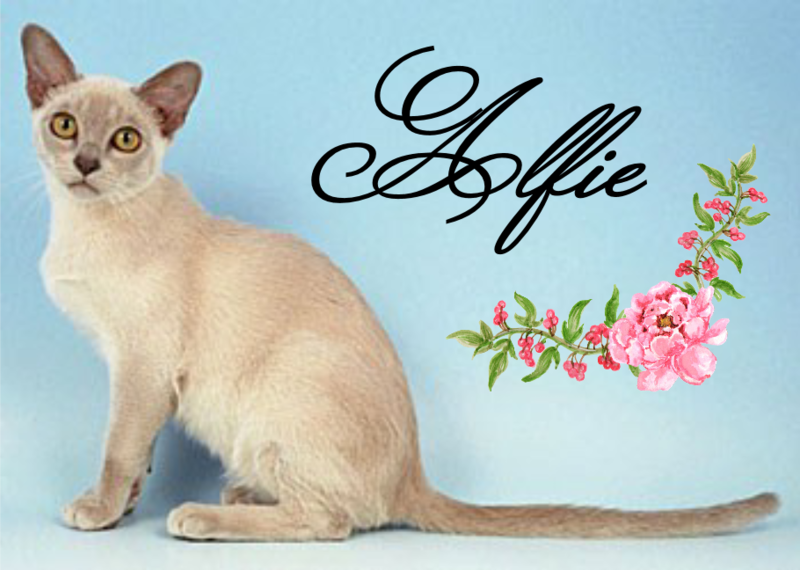 ​In his breeding life, Alfie sired in excess of 14 litters to his name and some of those offspring are about today. He had a very special traditional look that we love and see around our home in his Daughters, Vi, Pixie & Mini. He ended his life as a lap cat in the lap of luxury. All miss him very much indeed.